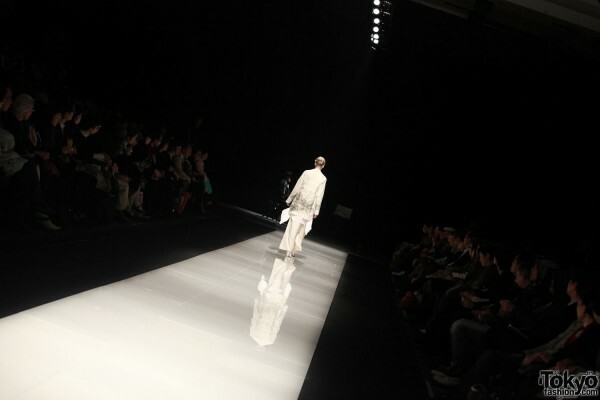 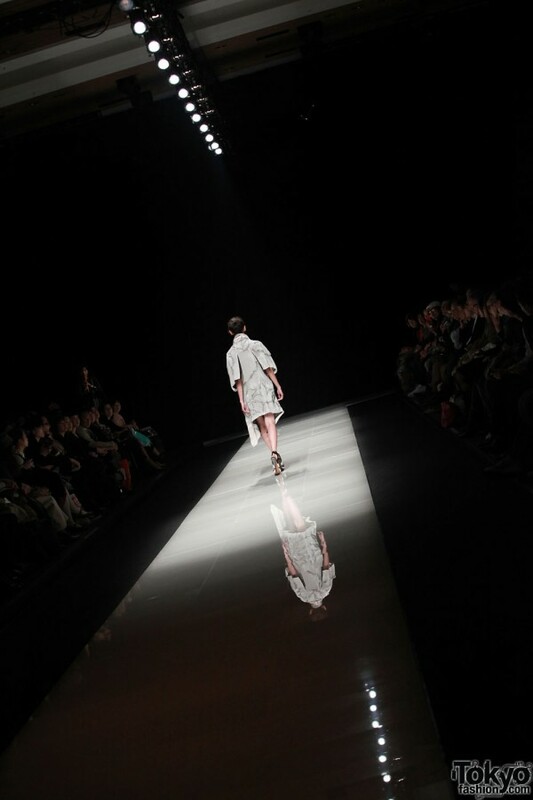 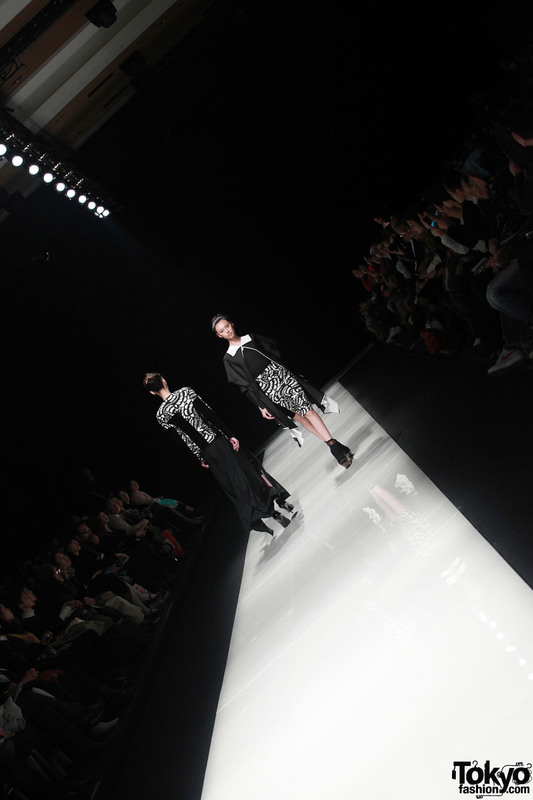 The 2012-13 A/W edition of Mercedes-Benz Fashion Week Tokyo is under way! 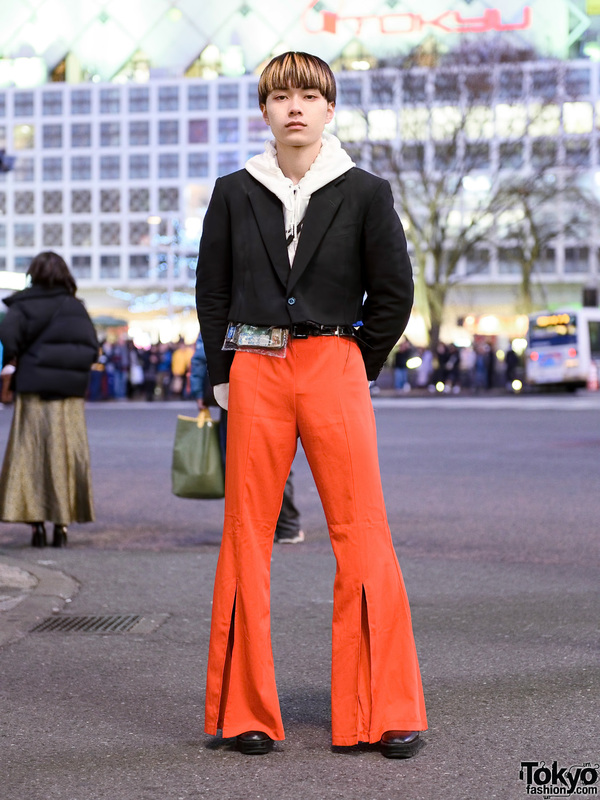 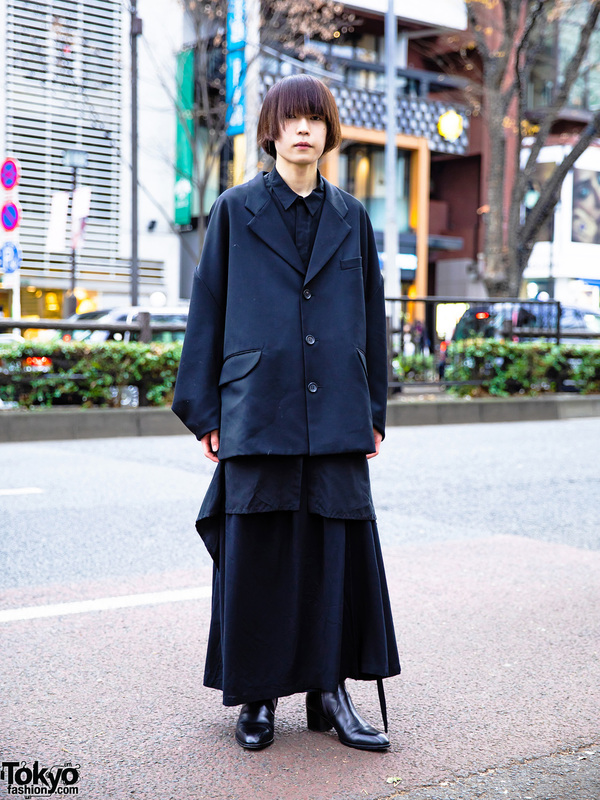 TokyoFashion.com’s contributors are reporting back from runway shows and events all over town several times each day. 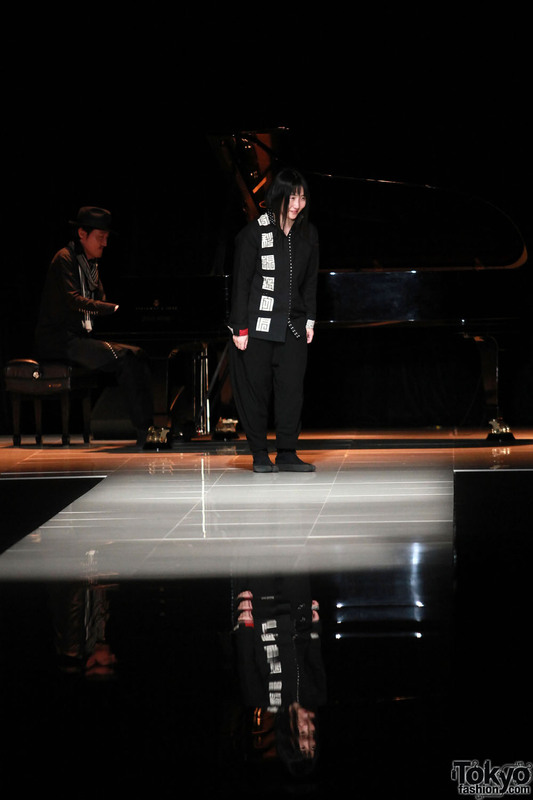 Be sure to check out all of our Mercedes-Benz Fashion Week Tokyo coverage. 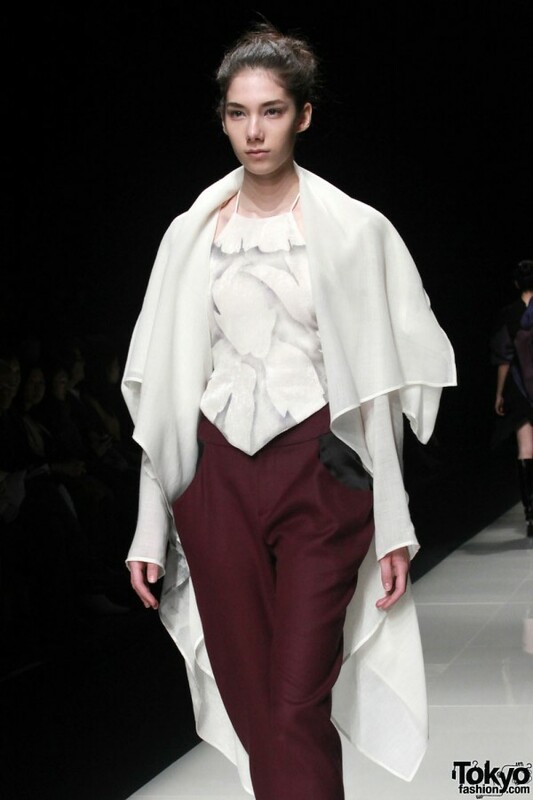 On Thursday, March 22nd, Japanese label araisara showcased their 2012 Autumn/Winter collection on the runway at Tokyo Midtown. 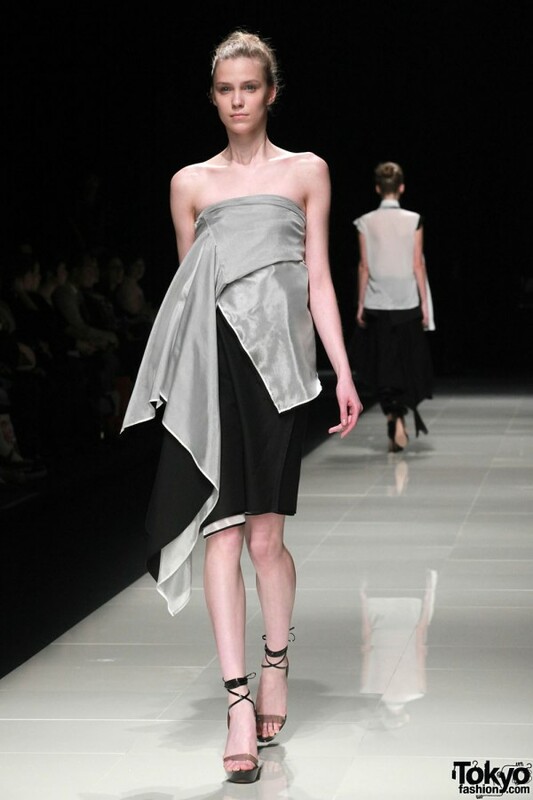 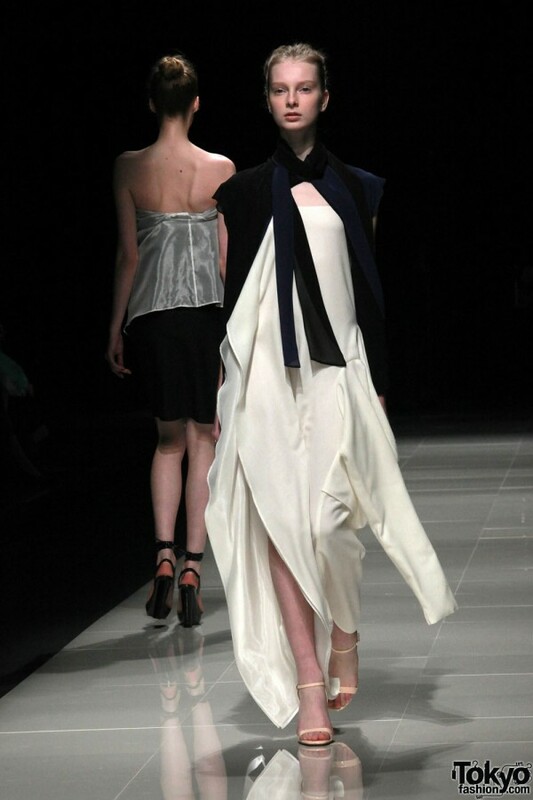 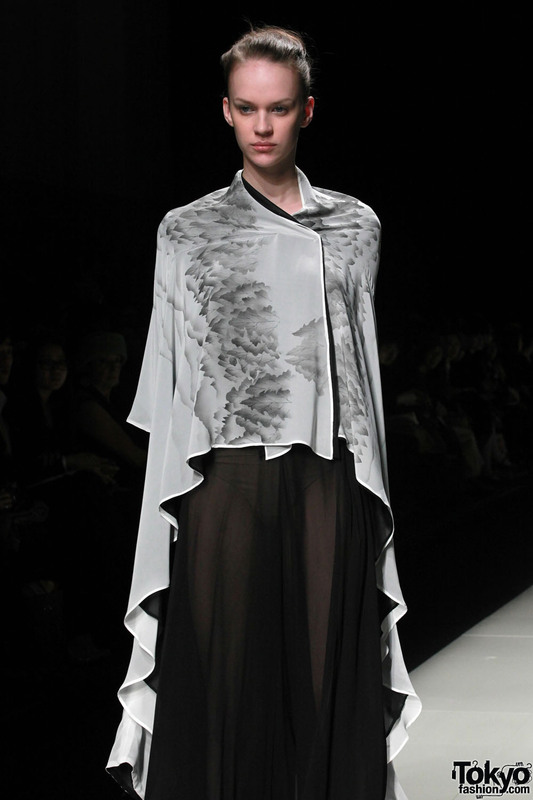 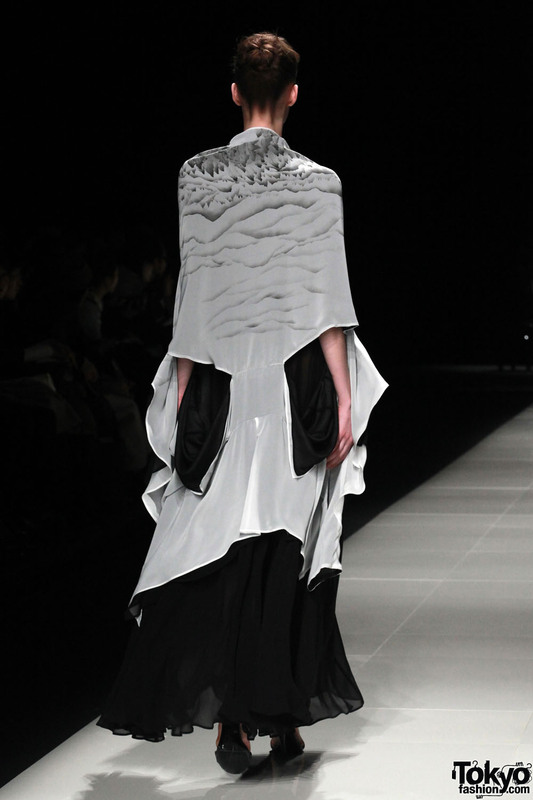 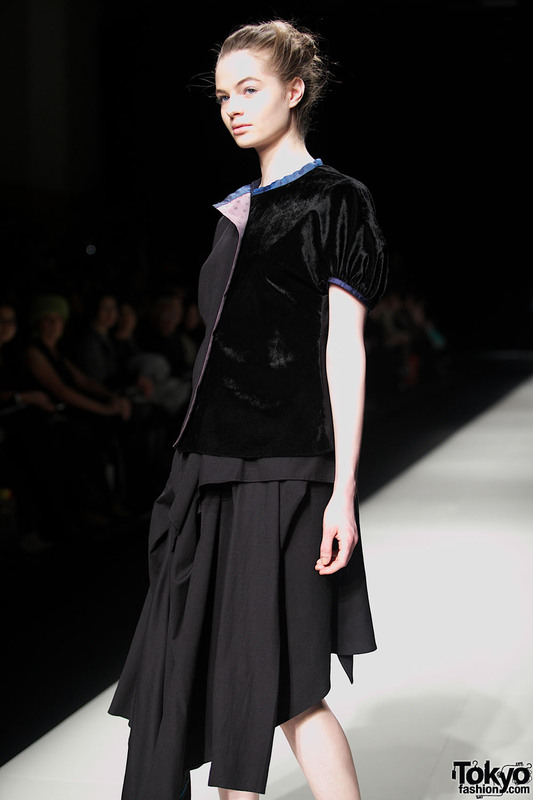 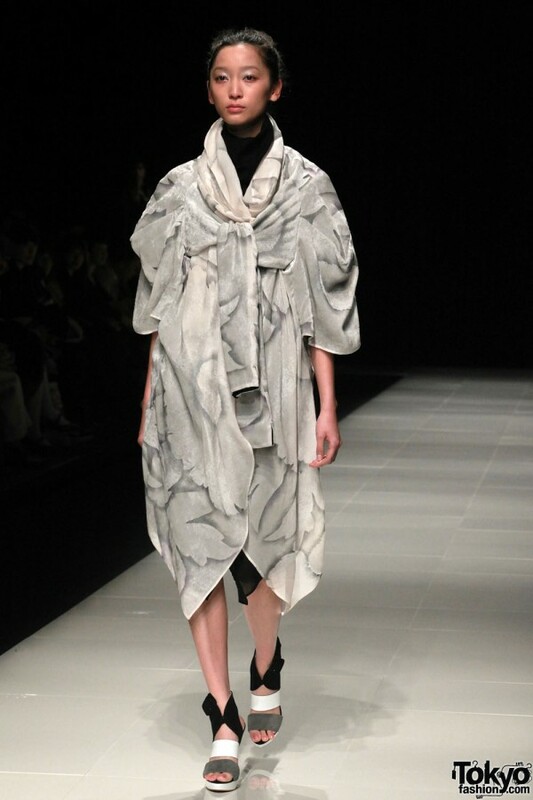 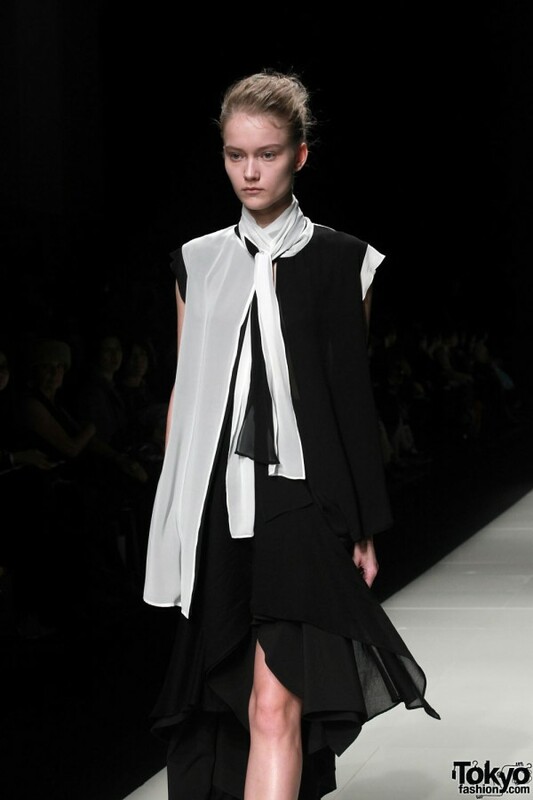 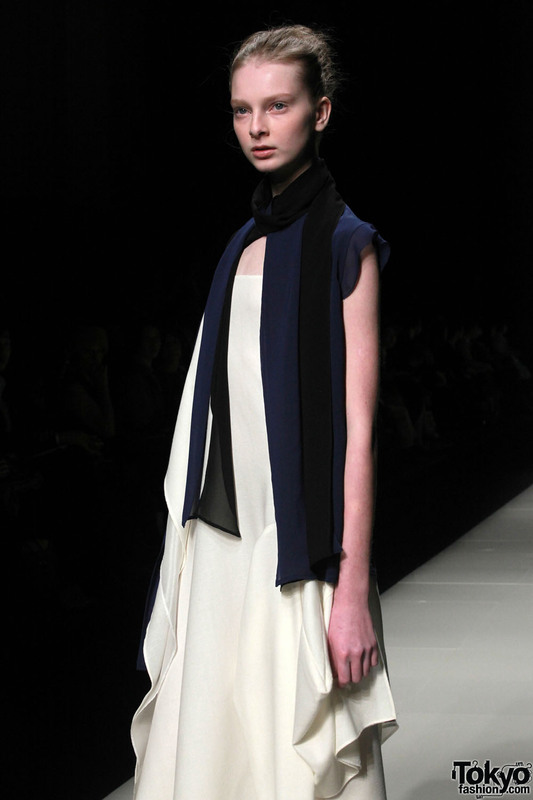 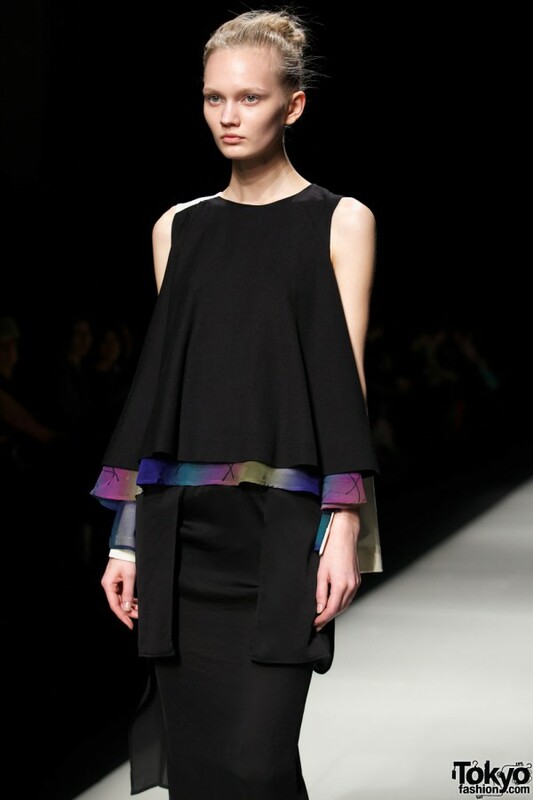 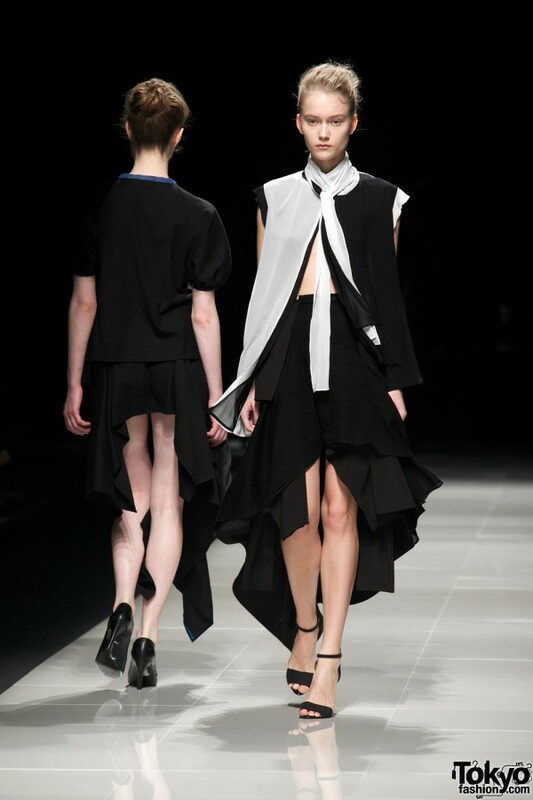 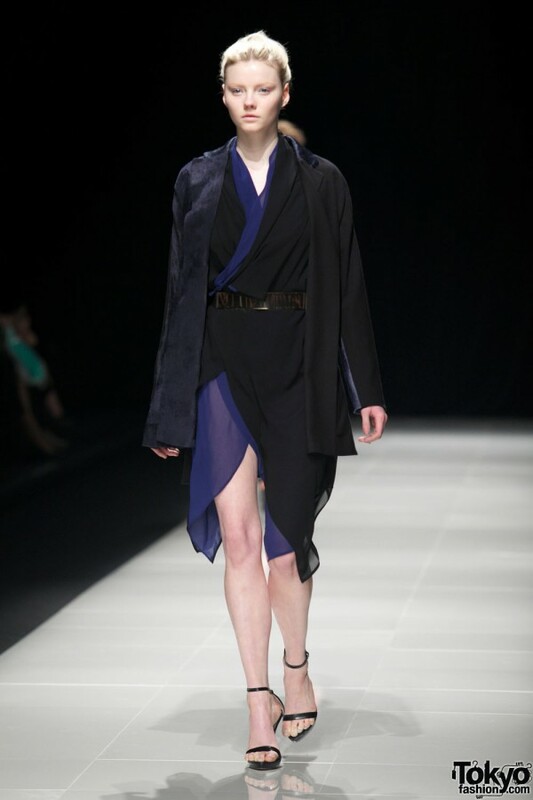 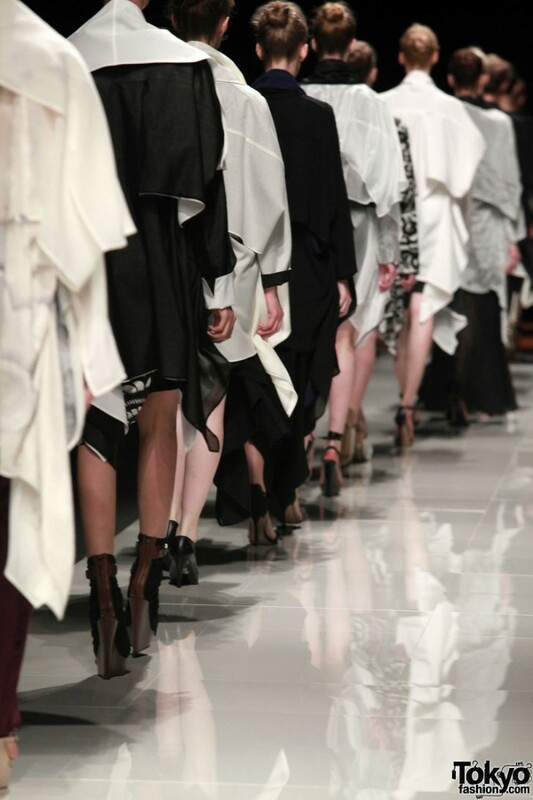 Sara Arai was raised in Beijing, China, and graduated from Fashion College Sakuragaoka. 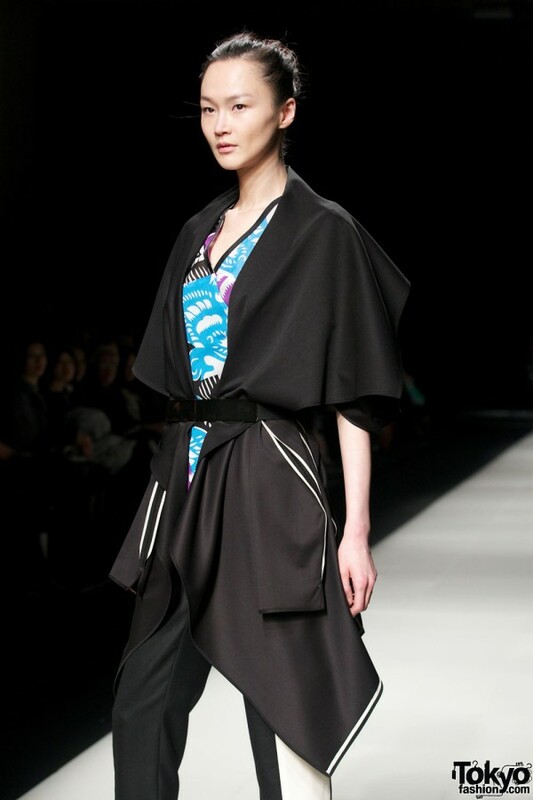 She debuted in China, then moved to Tokyo to start her own brand. 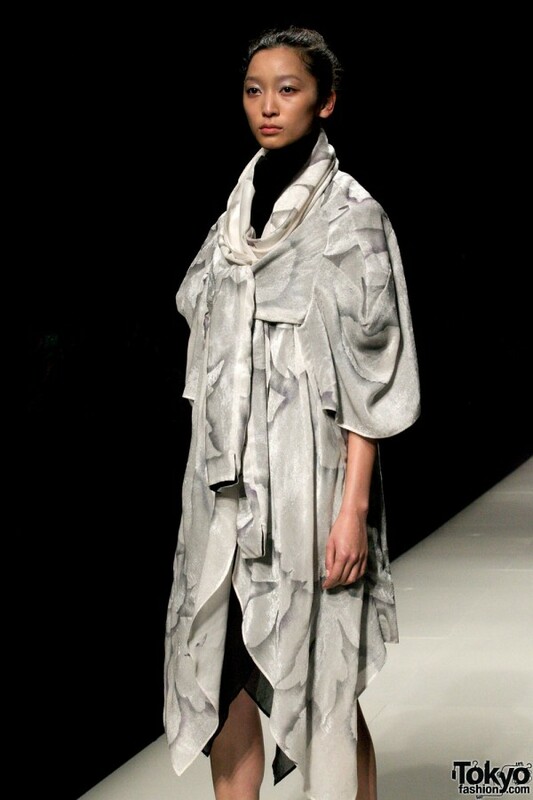 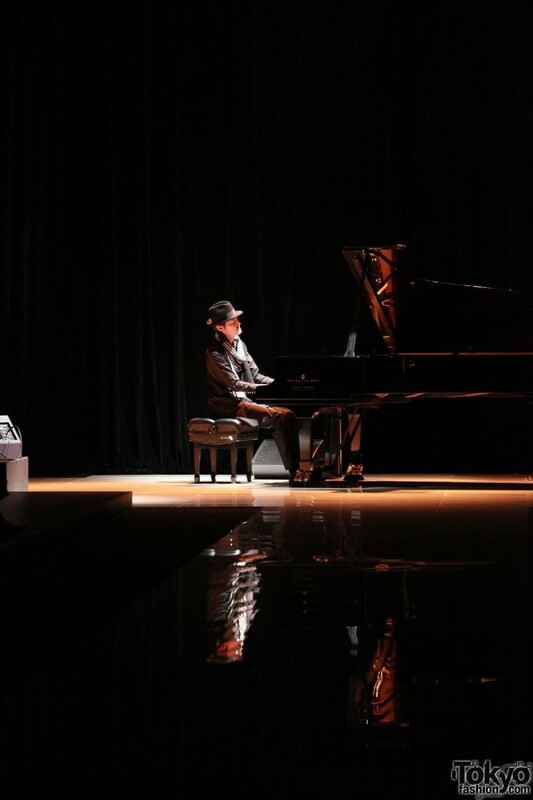 Her Mejiro flagship shop was opened in 2005, where she sold her couture items. 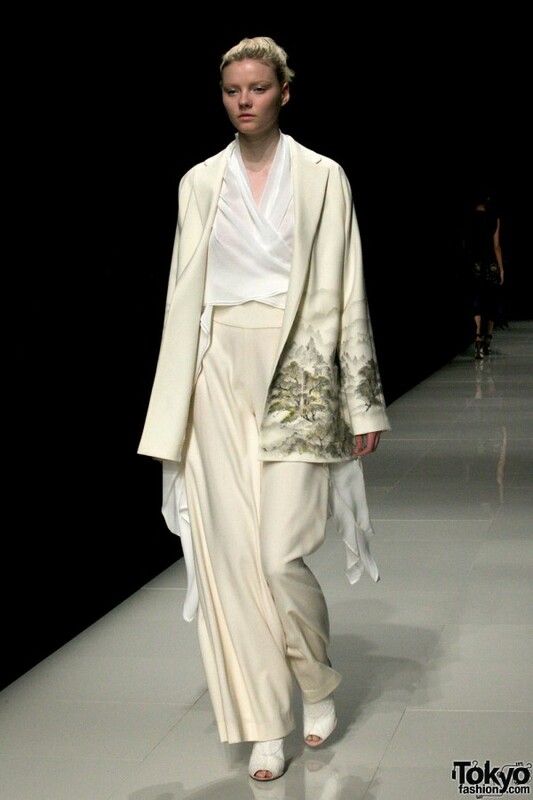 She started her pret-a-porter line araisara in 2008. 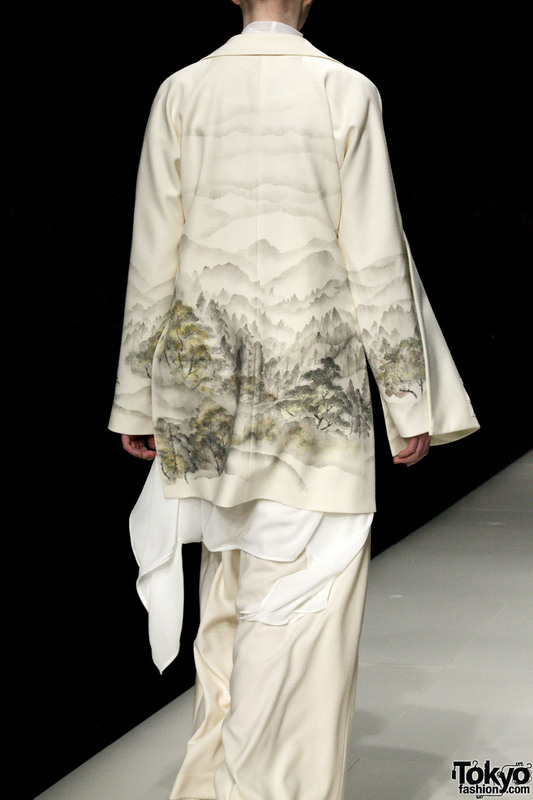 With this line, she seeks “to express the connection between traditional oriental culture and fashion”. 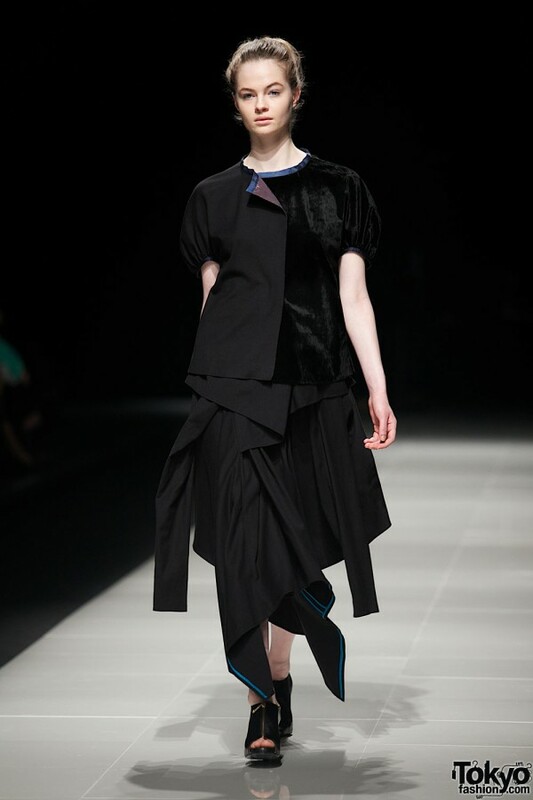 The araisara 2012-13 A/W “Adakyoku” collection will be the final collection that the brand shows at Tokyo Fashion Week. 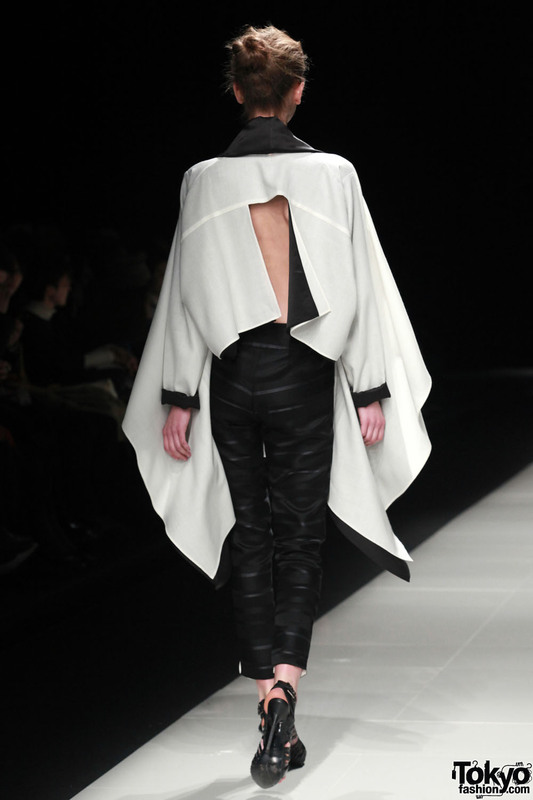 Future collections will be shown in Paris. 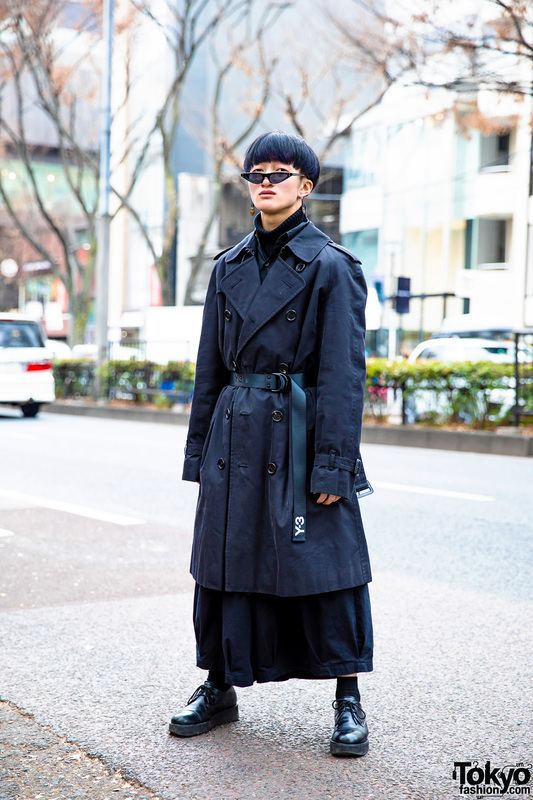 That news made this show bittersweet for both the designer and his legion of Japanese fans. 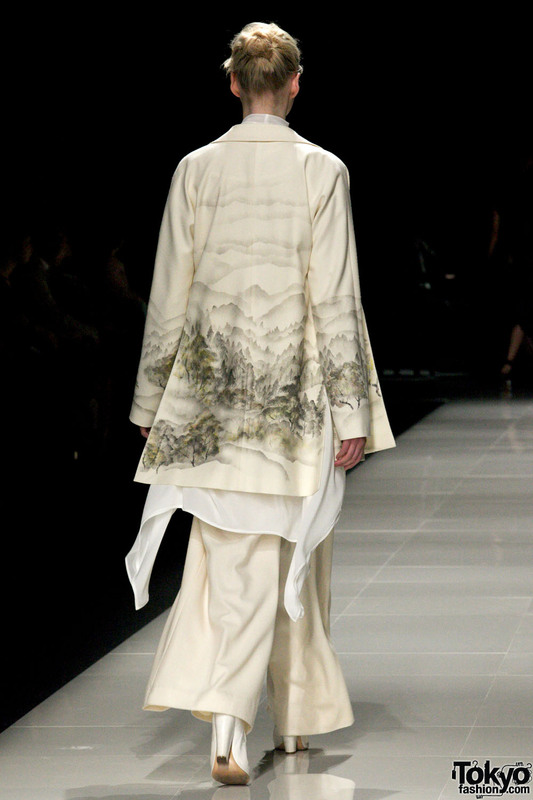 The pieces in the collection featured a mix of traditional Chinese and Japanese prints with modern wearable design. 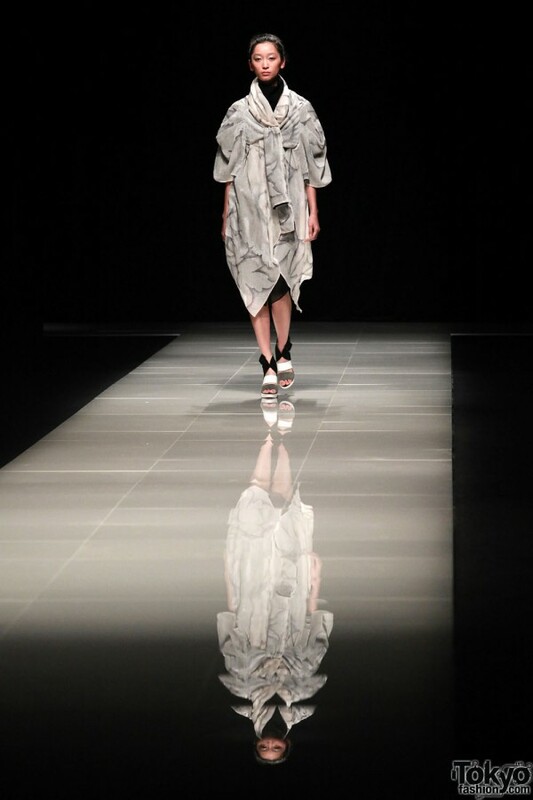 araisara’s unique sense of design – fusing elements from Asia’s past, present and future – will be a sad loss for Tokyo Fashion Week. 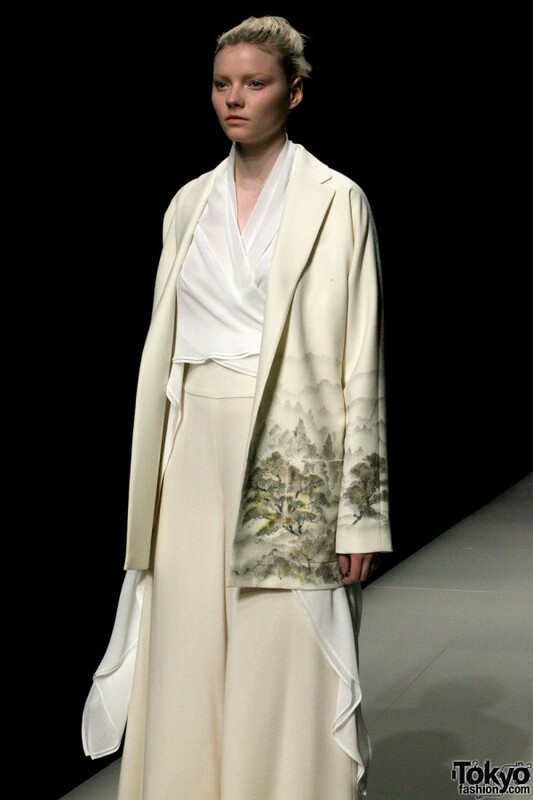 Please click the araisara thumbnails below to check out the full sized versions of all of the pictures for yourself. 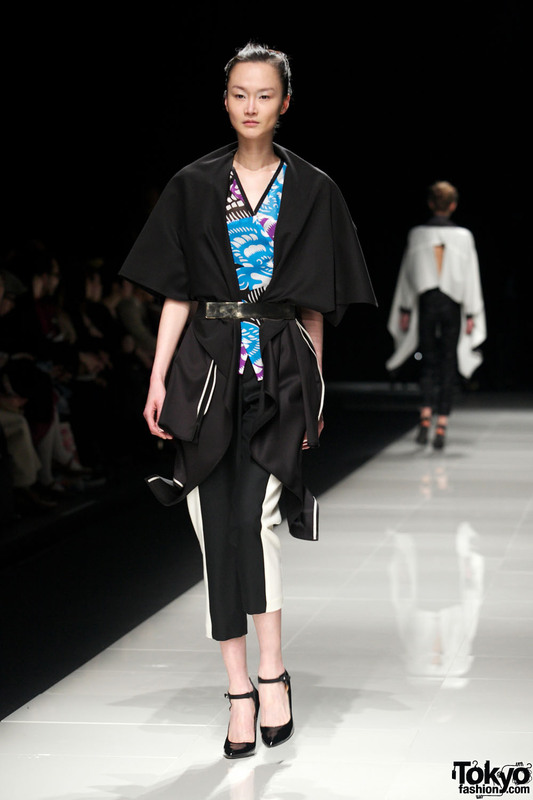 Click any of the araisara pictures to enlarge them!